Some marriages at which you officiate won’t make it. You pray not and work hard in premarital counseling to counter that possibility, but it happens. Some nonbelievers with whom you share the gospel won’t listen. The pain is great when nonbelievers just keep rejecting the good news. Some of the seemingly godliest people you know will fall into sin. I’ve done this work a long time, and I’m still shocked at times. The enemy leaves no one off his radar. Some church members will get mad and leave. The first time it happened in my ministry, I was defeated for weeks. It still hurts when it happens. Some spiritual heroes will let you down. No one intends for it to happen, but even our long-term heroes are still human. Some staffing situations won’t work out. That’s when you’re reminded that because you’re a leader, your decisions affect marriages and families. Letting someone go, especially in our ministry world that preaches grace, is seldom easy. Somebody related to your church may take his or her own life. I’m not sure I have ever felt so inept as when all my ministry efforts didn’t stop this kind of tragedy. Some people won’t know how to relate to you. No matter how hard you try to prove you’re a regular person, some people will be uncomfortable around their spiritual leader. Some days will be really lonely. When you’re quietly bearing the burdens of others, the weight can be heavy and the hours long. Somebody may criticize your family. Even the people we most love aren’t immune from the attacks of church members—some who genuinely mean well, but some who are just plain mean. Some of your friends may betray you. It happened to Jesus, and it can happen to us, too. With all these pains in mind, though, guess what? I would still do it all over again. 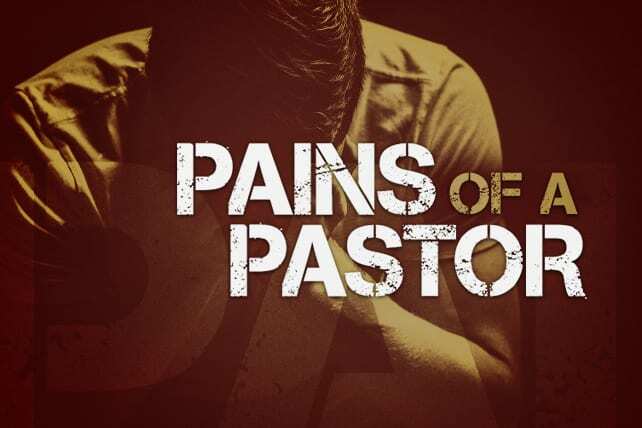 The joys of pastoring are so powerful that I’ll take the risk of these pains any day.